Lasers have been the revolution in implant dentistry domain. Laser Implant dentistry is the procedure of revealing implants which once involved a scalpel or a tissue punch to hole on the gums and to uncover implants. These days, lasers can painlessly and quickly finish a second stage surgery. • Laser desensitizing – When excessive enamel wear or gum recession made several teeth sensitive, dental laser can reduce sensitivity. • Laser bleaching – When performed with lasers, tooth whitening can reduce sensitivity as compared to traditional methods. So, the risk of post-operative sensitivity is lower. • Growth removal – Painless removal of growths in your mouth. • Lasers also treat joint pains. 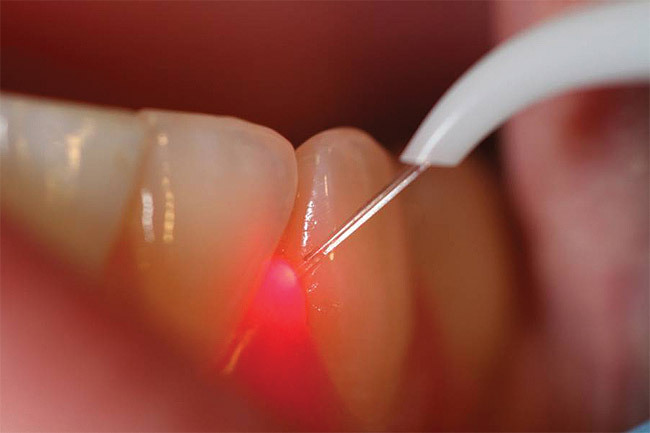 • Laser Root Canals – Lasers can achieve great level of sterilization in this treatment. • White Lesions treatment – Lasers can remove early lesions with ease. 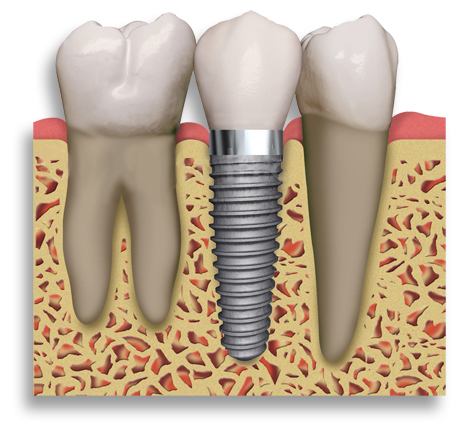 • Infected/Diseased Implant Treatment – You can easily avoid implant failure with early treatment of implant infections. • Pediatric Dentistry includes a lot of painless procedures for kids.